The following items were sent as press samples but we’re not otherwise affiliated with Touch Of Glam. LAUNCHING MARCH 9!! Yowsa! Get a load of these babies!! 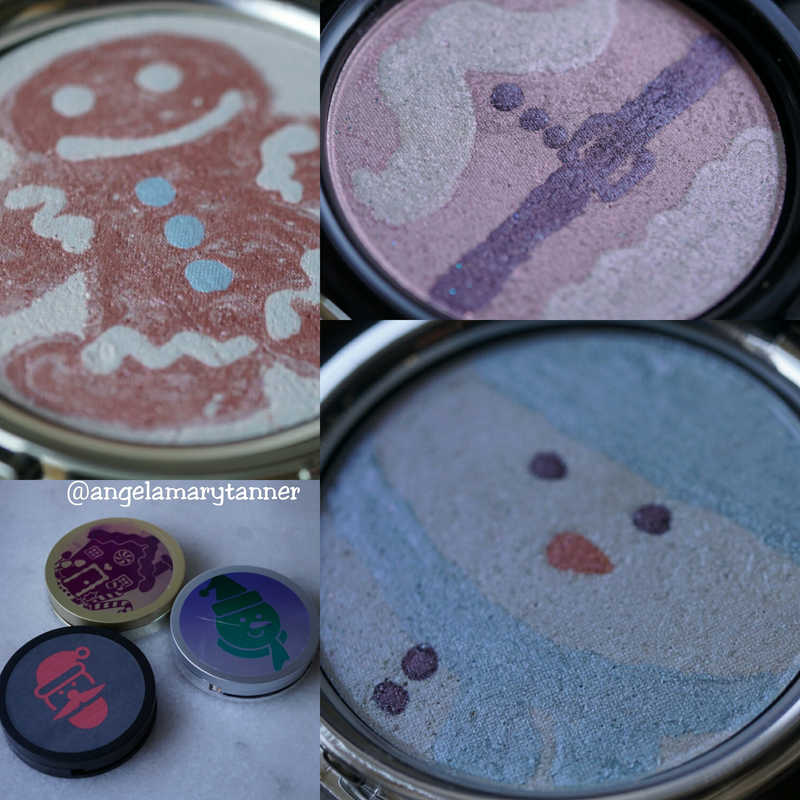 I got these guys in the mail a few weeks ago but it took me awhile to summon up the strength to swatch them. I mean look at those stamps! Touch Of Glam has been sending me products for awhile now and I’ve got to tell you guys, I think these are the best products that she’s ever made. Amy, I’m so proud of you! 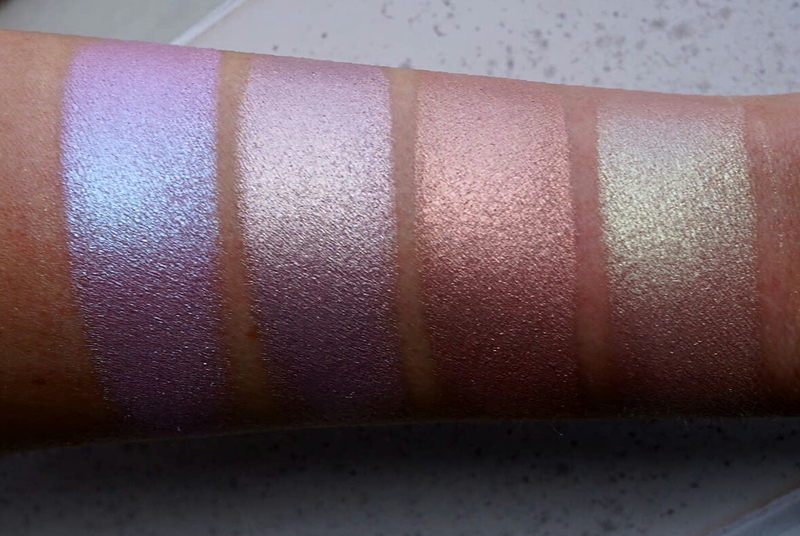 These highlighters are absolutely perfect! Okay enough with the gushing. This collection will be released on the 9th of next month. I haven’t gotten a confirmation on prices yet but she has a promo code TOUCHOFGLAM18 for 18% off. 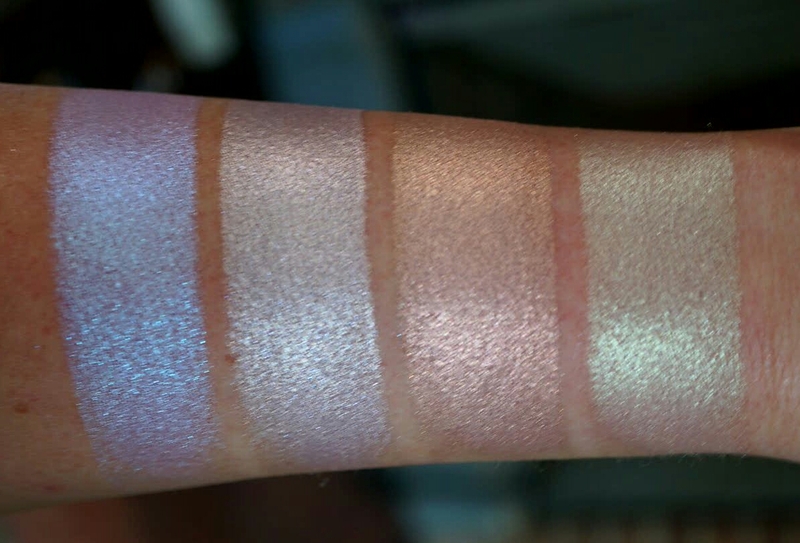 These highlighters are soft and pigmented without being powdery. They’re finely milled and they build really nicely. 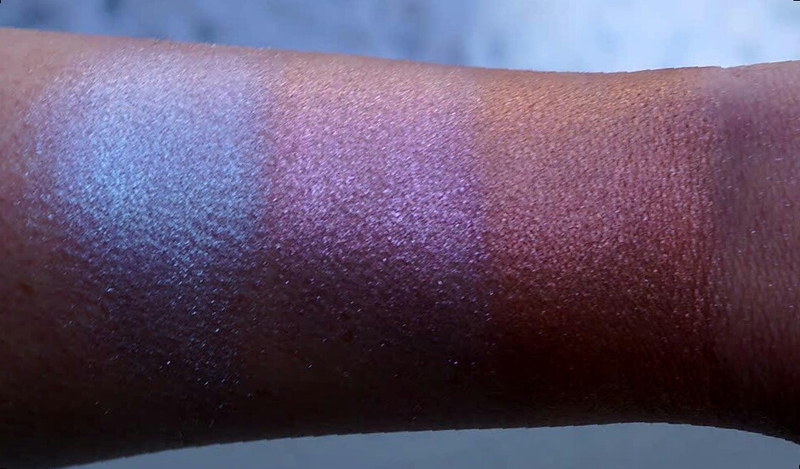 One light application will give you a gorgeous, healthy glow or you can layer them until you blind passers-by in the sunlight. 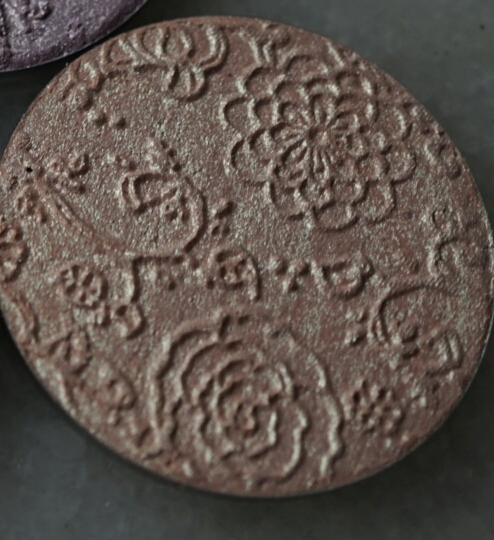 And of course you can use them as eyeshadows as well. PURPLE HAZE is a violet with blue shift. 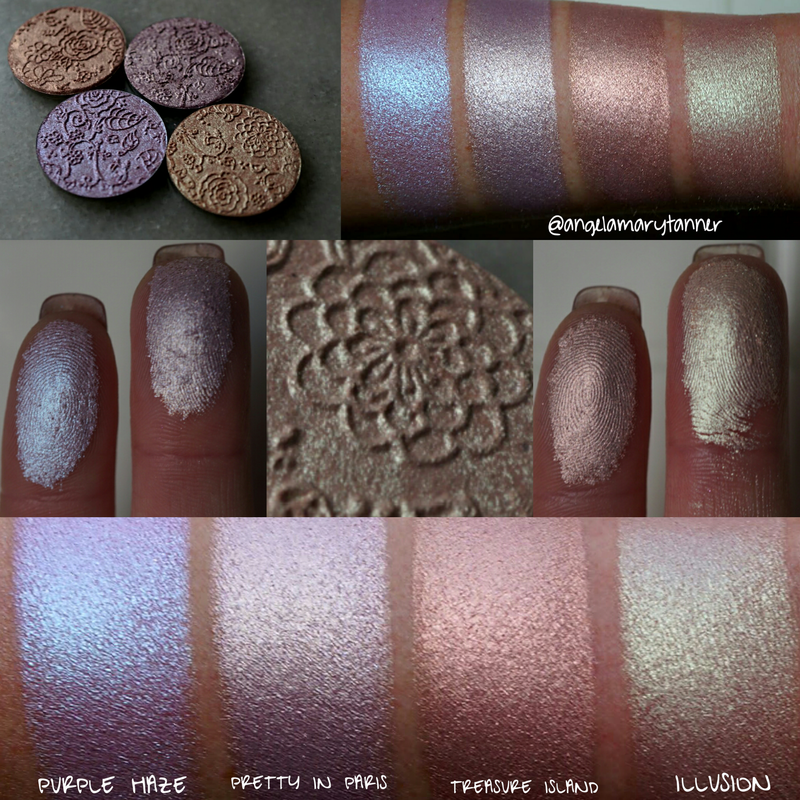 PRETTY IN PARIS is a warm lavender with a gold and silver shift. 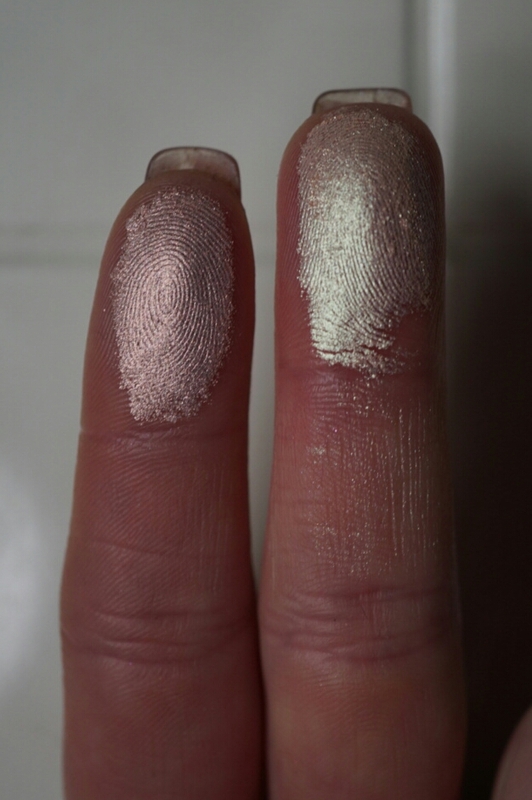 TREASURE ISLAND is a pinky copper with gold iridescence. ILLUSION is a peachy gold with green shift. My hands down favorite is TREASURE ISLAND. Pinky copper will always be my favorite, no matter what. My 2nd favorite (right now) is PRETTY IN PARIS but that’s subject to change. These highlighters truly blew me away. If you’ve yet to try indies yet, you need to! 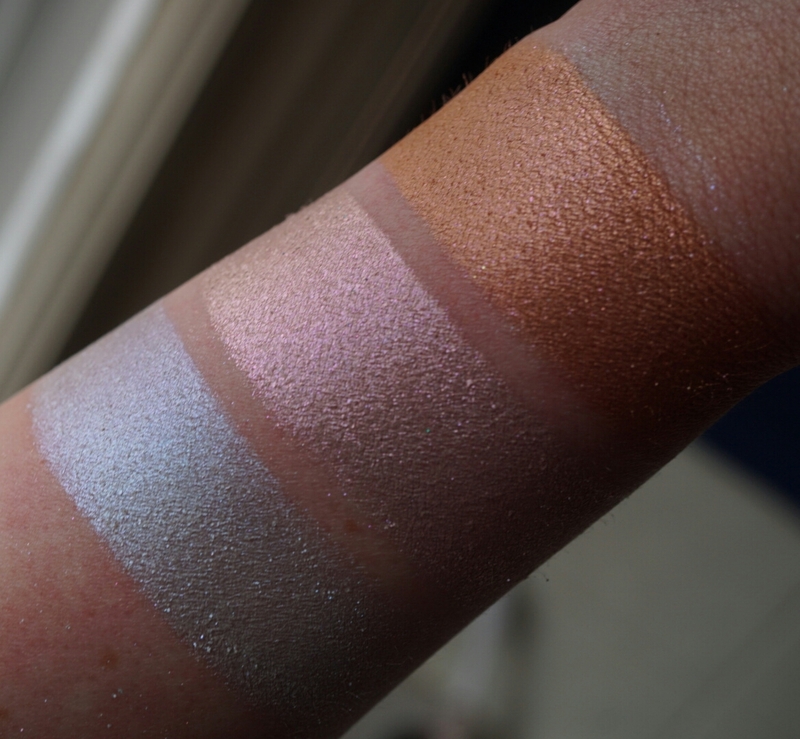 I swear that I will reach for my indie highlighter palette over BECCA any day of the week. Our permanent discount code with Touch Of Glam is OURBEAUTYCULT15 for 15% but as I mentioned above, she has another one: TOUCHOFGLAM18 for 18% so you’ll be better off using that. 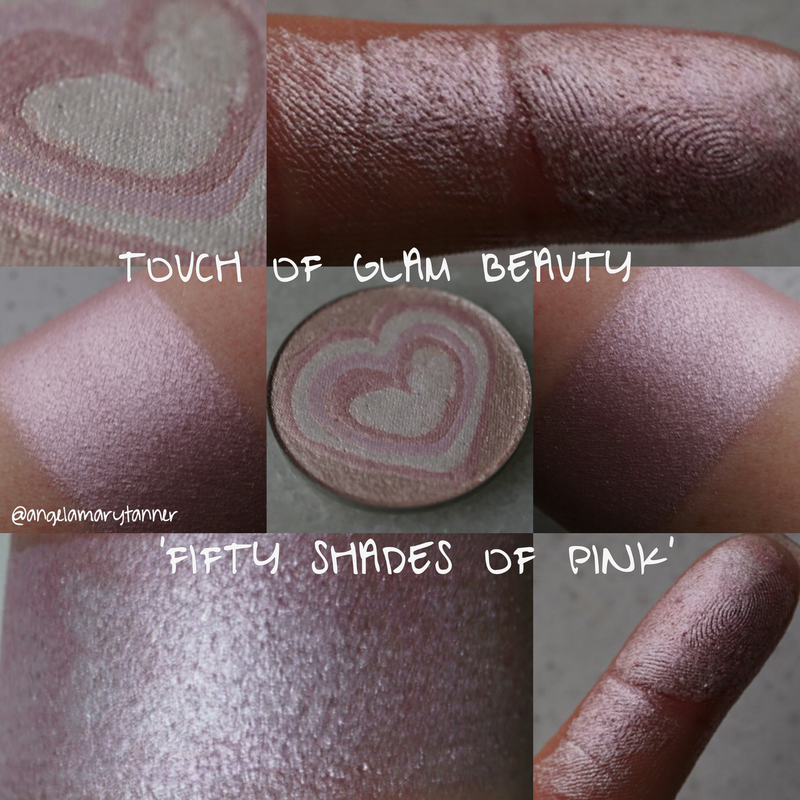 FIFTY SHADES OF PINK is a limited edition Valentine’s Day highlighter. And as the name would suggest it’s all shades of pink! It’s cotton candy scented but the fragrance is light. 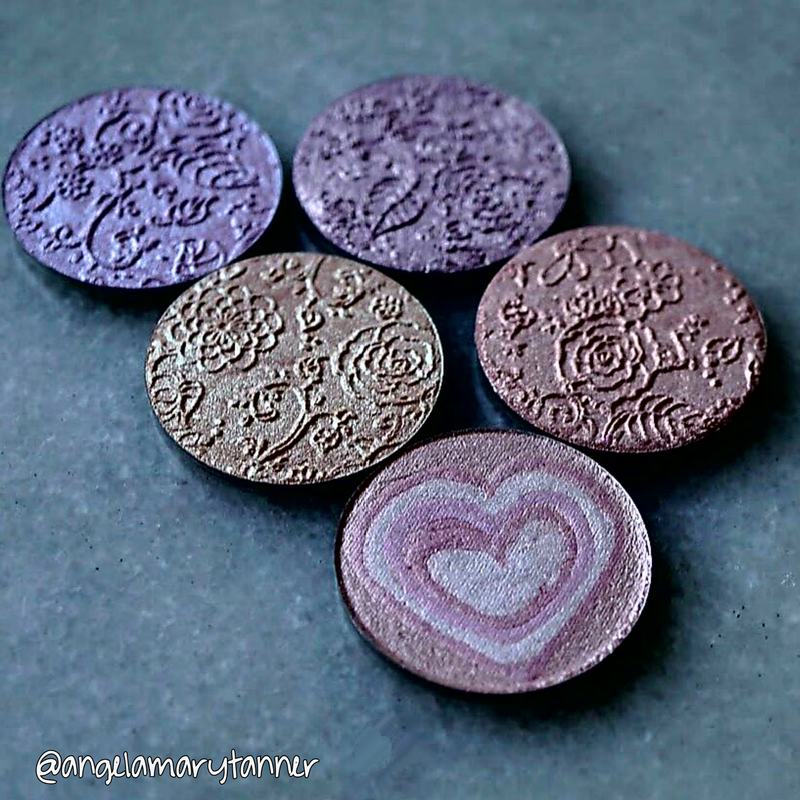 The base color is rose gold with pink shimmer and then there’s a heart pattern done in lighter and darker shades of pink. 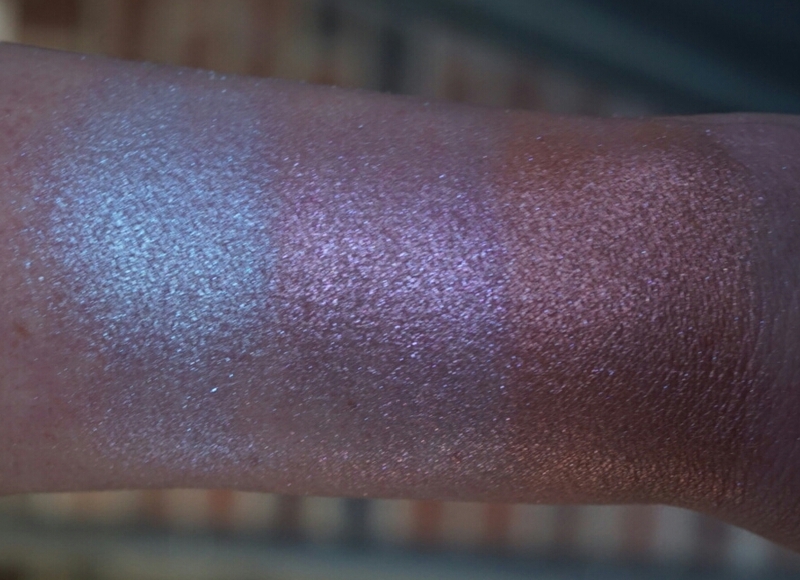 The formula is very shimmery but not glittery and it’s soft and pigmented without being powdery. Cute idea and well executed concept! 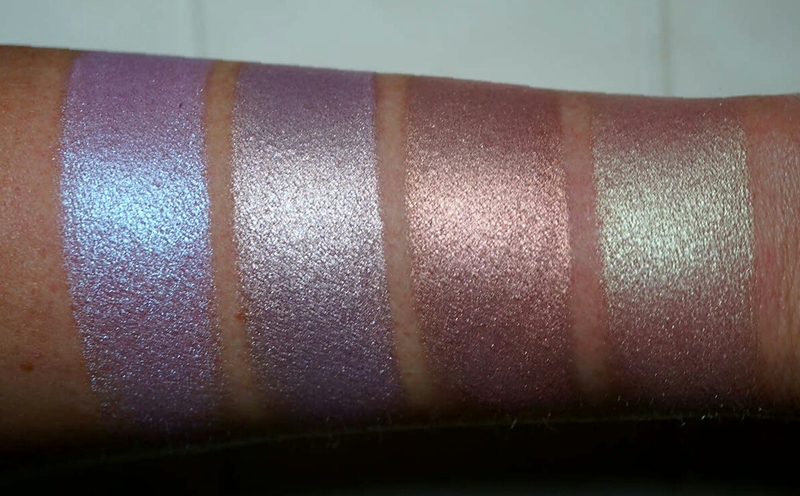 The lower set of swatches in the collage are done heavily and the photo was taken in direct sunlight. 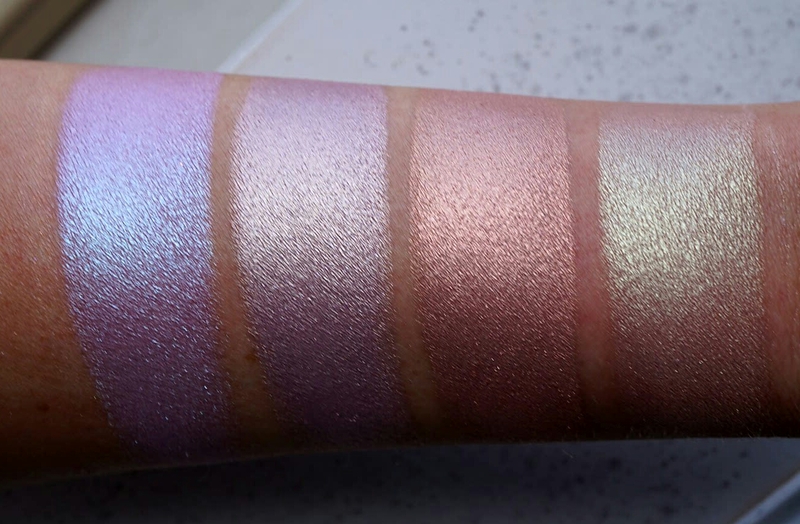 The upper swatches are blended out and the pic was taken indoors. 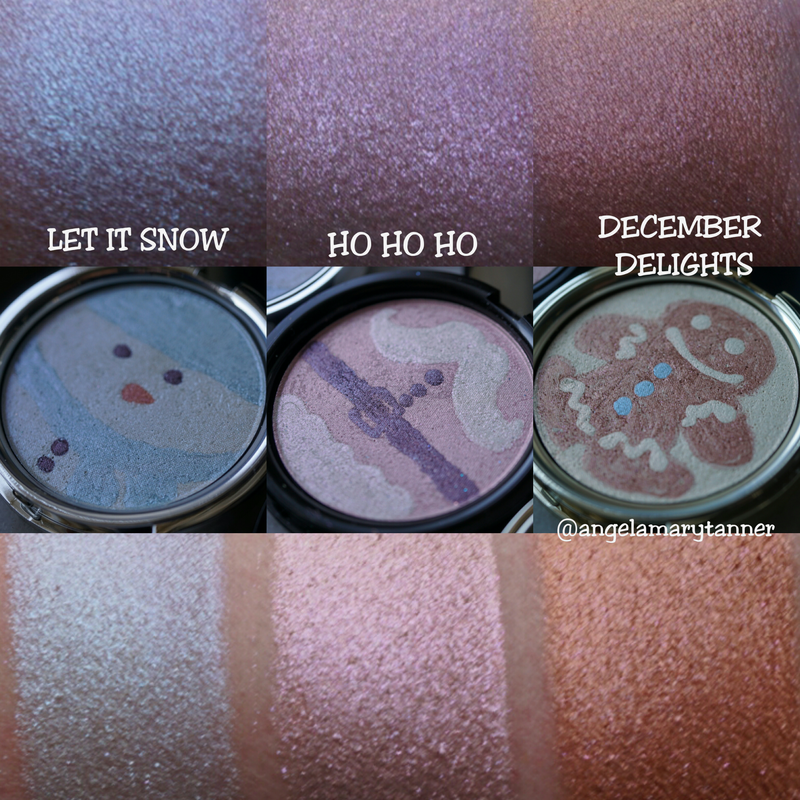 So before doing these swatches, I had expected that HO HO HO would be my favorite but I have to tell you guys… DECEMBER DELIGHTS seriously blew me away. It’s soooooo damn pretty! It’s warm pinky copper with lavender shimmer and I don’t think that I own anything like it. 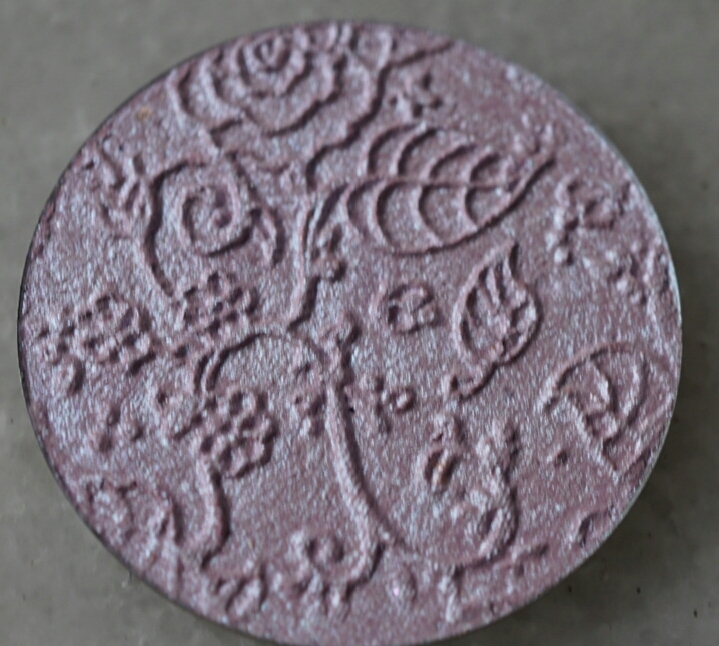 Applied lightly it gives you just a hint of coppery sheen or you build the color and use it like a blush (or a blush topper). And it smells like gingerbread! 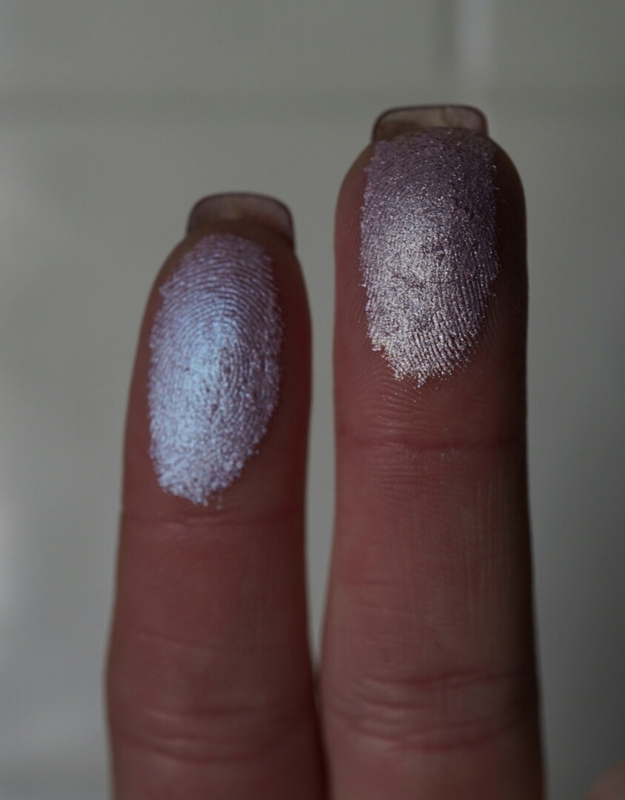 LET IT SNOW is a shimmery iridescent blue. HO HO HO is mixture of white and red that combine to make a pearly pink. 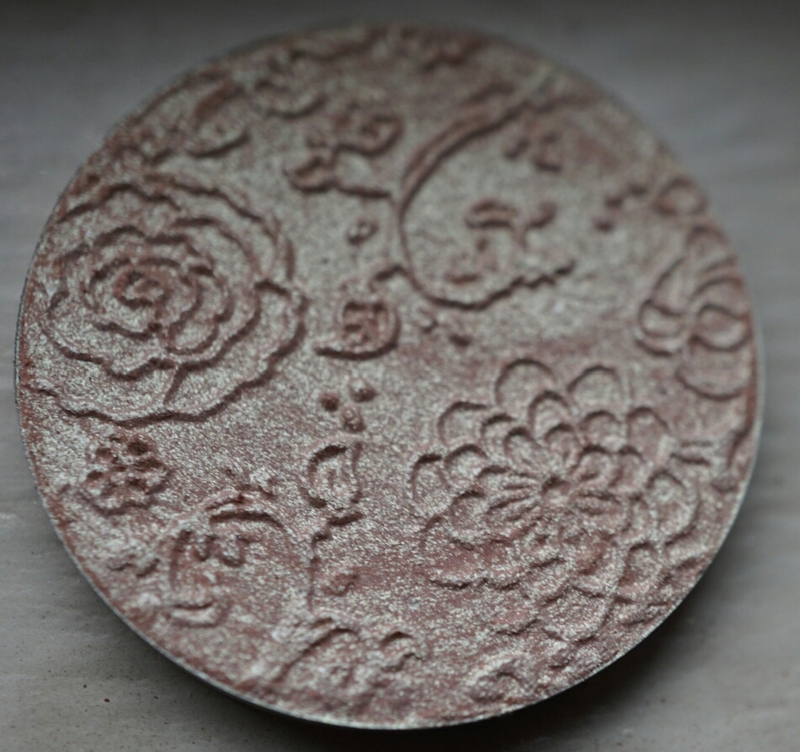 All three come in mirrored compacts with coordinating images on the outside. They’re all very pretty but DECEMBER DELIGHTS is really special. 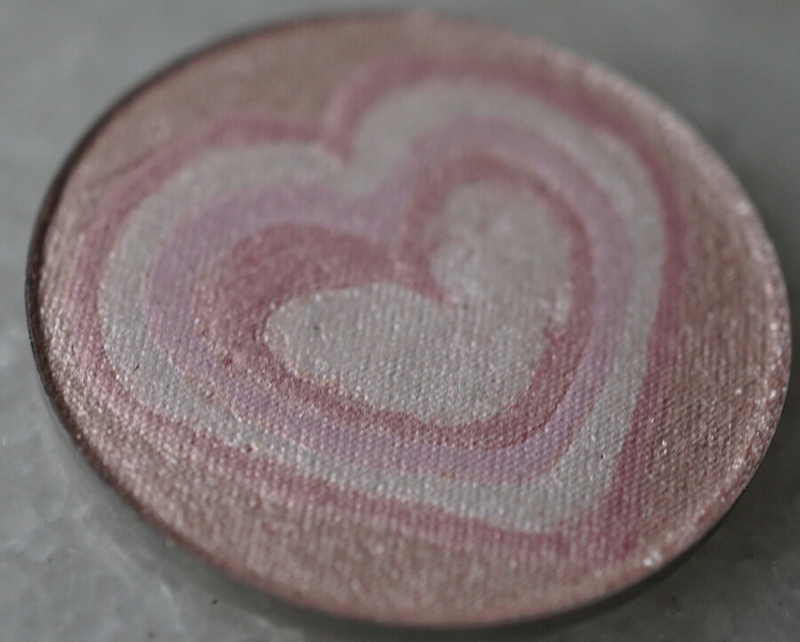 It’s definitely one of my favorite TOG highlighters to date! 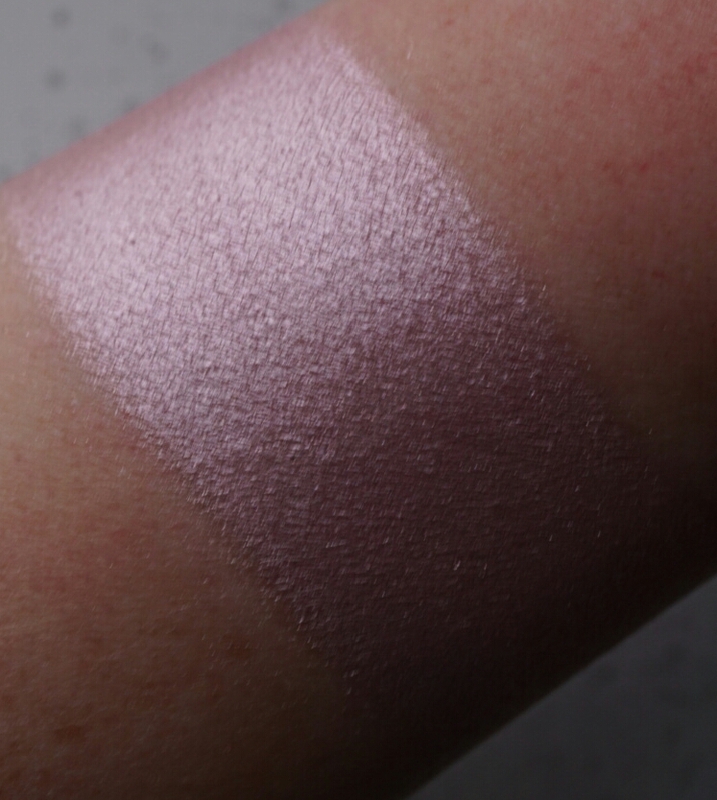 Next Nicole Guerriero x Anastasia Beverly Hills Glow Kit – Swatches and dupe discussion.